Want to know who our up-and-coming women CEO’s and leaders are? 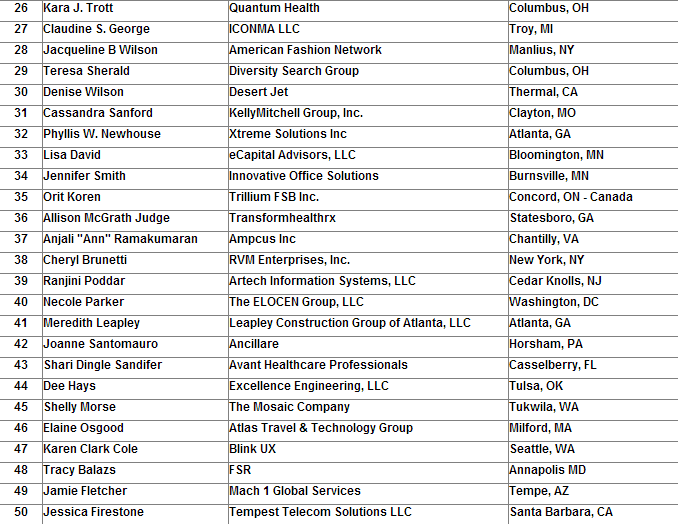 Annually, the Women’s Presidents’ Organization (WPO) releases a list of the 50 fastest growing women-owned/led companies in the world. 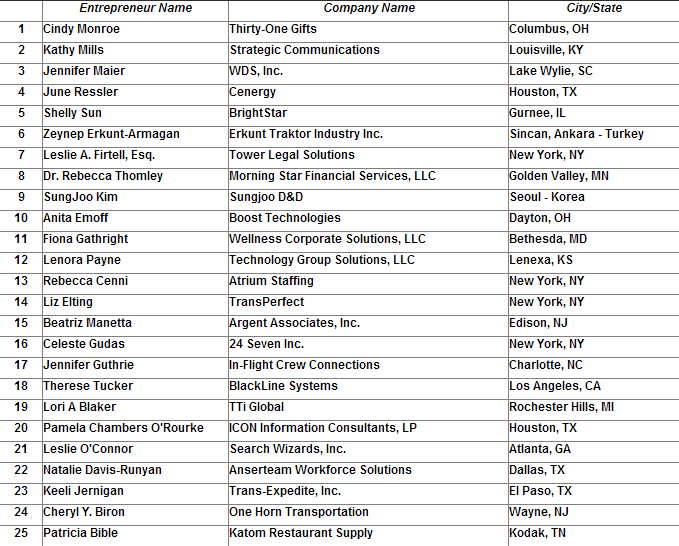 Spectacularly, the 2014 list of women owned and led company revenues is 53% higher than from the 2013 list. The diversity of industries on the list is also quite inspiring as the list contains successful women entrepreneurs in the areas of, but not limited to: IT & Communication Technology, Distribution, Energy Technology, Medical, Legal, Financial, Fashion and Aviation. To read more, click here to see the article in its entirety.